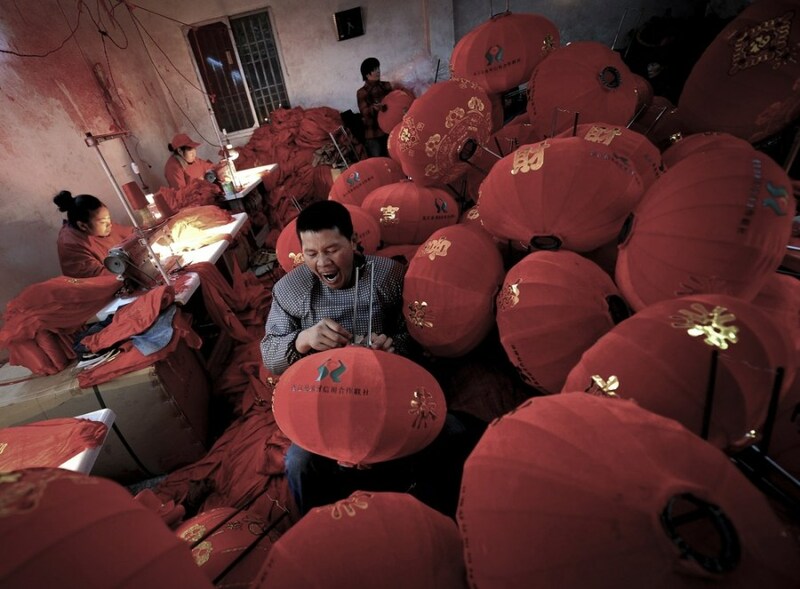 A man yawns as he makes red lanterns with other workers for the upcoming Chinese Lunar New Year at a workshop in Yaxi village, in Xianju county in east China's Zhejiang province, on Dec. 27, 2011. 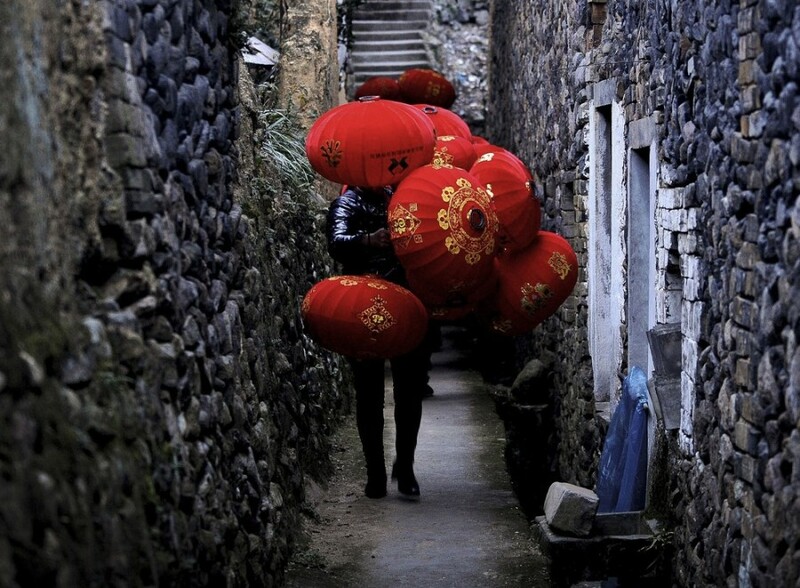 Workers carry red lanterns through a small lane outside a workshop in Yaxi village on Dec. 27, 2011. Chinese Lunar New Year will fall on January 23, 2012, marking the beginning of the Year of the Dragon.